The civil war in Syria forced Maram and her family to flee without any possessions. Five years later they’re still homeless and yet to return. Security has improved in the capital, Damascus, and the family’s hometown in the adjoining villages in the Ghouta countryside, but the humanitarian situation remains critical. Winter is on its way and will make conditions worse. 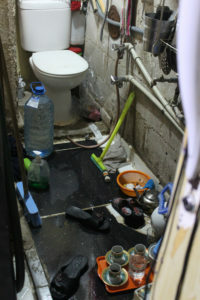 The family now lives in an empty elevator engine room on top of an apartment building in Damascus. 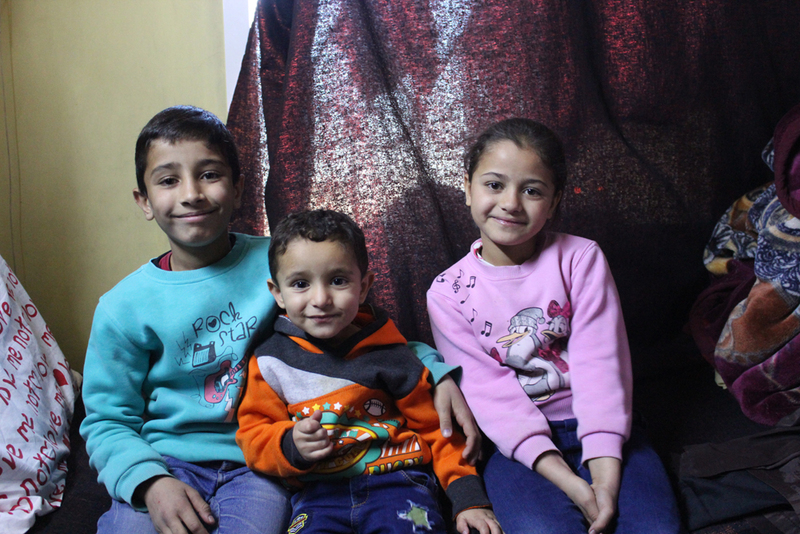 Mohamed, Mahmoud and Shahd and their parents fled their home in Ghouta, Syria. “I feel that this room is like a palace when I compare it to the public garden where we lived for three years, or if I compare it to my destroyed house in our village in Ghouta now…” Maram breaks off her sentence, unable to hold back the tears. Please donate to Caritas so that we help families like Maram’s. Maram’s family is among the country’s 6.1 million internally displaced people. The war, now in its eighth year, is one of the world’s worst ever humanitarian catastrophes. Most international experts estimate over 500,000 people have died in the violence. Like most Syrians, 25-year-old Maram and her husband, Ibrahim, are still unable to meet their three children’s basic needs. They are dependent on humanitarian aid, which Caritas is helping to provide. Please donate to Caritas so that continue to help families in Syria. 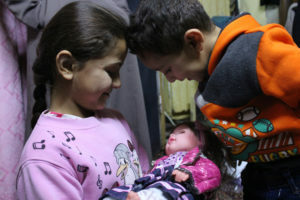 The United Nations estimates that of Syria’s 22 million population, 13.1 million are dependent on aid inside the country, with 5.6 million in acute need. Since the beginning of the unrest in the country, the Ghouta area has been the theatre of endless battles and fierce violence. Maram and Ibrahim escaped the violence with their children, Mohamed who is now eight years old, and Shahd, seven. Their youngest, Mahmoud, is two years old. Maram keeps her few cooking utensils in the elevator engine room’s toilet. Without being able to take any of their belongings, they headed to Damascus, and sheltered in a public garden. Ibrahim works as a security guard in the garden as well as doing odd jobs to try to support his family. One of his work colleagues, who knew about Ibrahim’s family’s lack of housing, told him that his family could stay in the empty elevator room in his building. However, its tenants have applied for permission to install an elevator. Once permission is granted, Maram and her family will have to leave. “I don’t know what is going to happen when the permission is issued. I feel myself worried all the time thinking of where to go or live after that,” said Maram. Ghouta might have been one possible solution. In April 2018, after a prolonged fight against armed groups, the Syrian army took complete control of the area. Since then, almost 32,000 people have returned to their areas of origin in Ghouta, with some 7,000 remaining in IDP camps. However, the conflict damaged or destroyed public and private facilities in Ghouta. Many hospitals, schools, water and sewage systems, agriculture, transportation, housing and infrastructure are no longer functioning. In Ghouta shelters are overcrowded with unsanitary basements and very limited access to basic commodities and services. Access to education remains challenging as most schools need rehabilitation. There is also a lack of medical care and healthcare facilities. As winter deepens, so too have people’s hardships, and Caritas is stepping up its assistance in the area. In July, Caritas arrived in Ghouta, and, cooperating with the local Islamic Charity Hifz Al Neema (meaning “Save the Grace”), distributed 1,480 food baskets, 1,000 packs of fresh vegetables and 600 boxes of diapers. In September, Caritas provided 1,240 food kits for families through the same partner, the cooperation underscoring the successful interfaith partnership that Caritas has achieved in Ghouta. The organisation is now planning on helping communities in Ghouta to prepare for the winter, chiefly in the form of help with heating and blankets. Caritas is completing a needs assessment with the aim of designing a response that will be beneficial for the Internally Displaced People, returnees and local communities in Ghouta. This assessment will include shelter and education components that will inform future programs. “In a country where different religious communities used to live in harmony, the ongoing conflict has sadly created animosity and deep divisions in the minds of many people,” said Davide Bernocchi, Caritas’ Advisor on Interfaith Partnership. 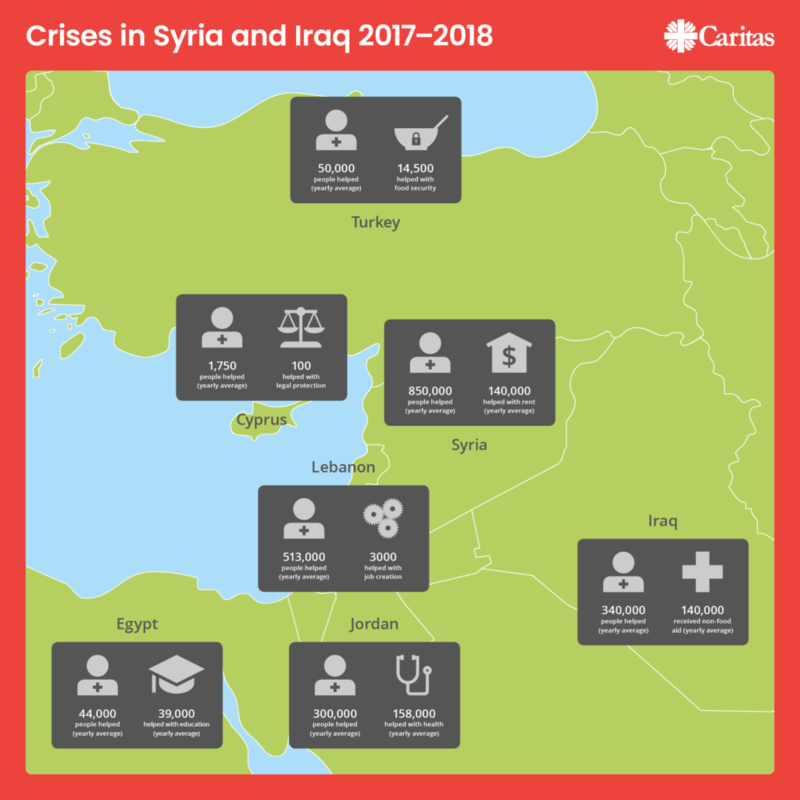 “The collaboration between Caritas and a Muslim organization to provide vital help to these extremely vulnerable people is a powerful message of hope for the future of this country”. To build on its interfaith work, Caritas is also organising a solidarity walk toward Ghouta. They will invite Christian scout groups to participate with Muslims from the area “to break the ice”. However, despite the work of Caritas and other relief organisations, people like Maram will struggle to get through this winter. 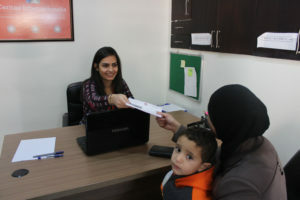 In Damascus, Caritas is now helping 1,142 families, including Maram’s, through an open voucher project designed to help the city’s neediest people. Maram was also able to buy some warm pyjamas for her children to help stave off the winter cold. But unfortunately, they were lost, perhaps stolen on a bus. “I was so depressed as my children didn’t have any warm clothes for winter,” Maram explained. “The next day, I received a phone call from Caritas telling me they would give me a second voucher. I just started crying and crying. With the support of Caritas, I feel that God is still with us and standing beside us in the hard time we are living in”. Please donate to Caritas so that we can help more families like Maram’s.